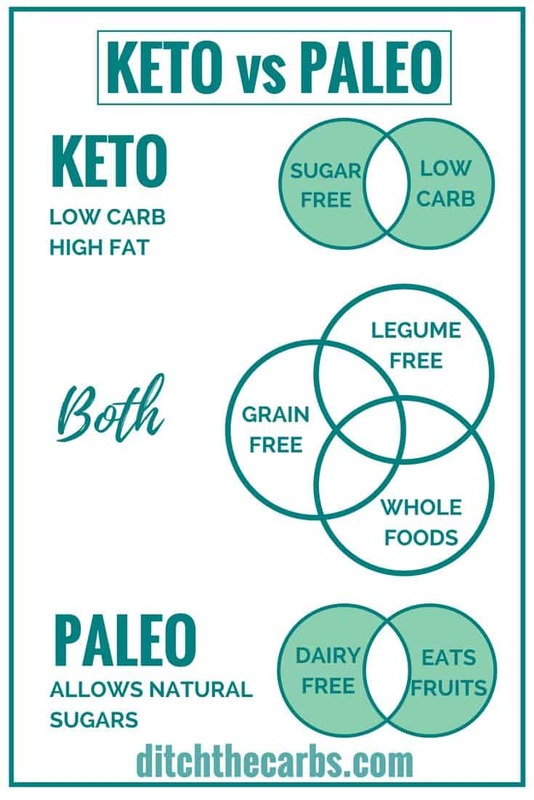 Have you ever wondered what’s the difference between keto vs Paleo? Well read on my friend …. and see which one may be best suited for you. So you are thinking about making a dietary change in your life and you aren’t sure which change you plan to make yet. 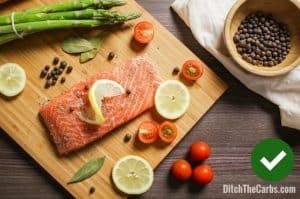 Well, let’s talk about a couple of the current most popular diets out there and the difference between the two. Call it the Ketogenic diet, the keto diet, low-carb diet or LCHF (Low Carb High Fat) diet, they all are versions of the same thing. Eating real, whole, nutrient dense food that is low in carbs . So what’s the difference? It comes down to how many carbs you consume within your day. Read more here. Your diet is incredibly nutritious, varied, and based on whole foods, just lower in carbs and higher in fat. You begin to fuel your body with fat and protein, not carbs or sugar. You become a “fat burner” not a “sugar burner”. You reduce your intake of sugars, carbs, starchy foods. By doing this, you put your body into a state of nutritional ketosis, which is a metabolic state that encourages you to burn fat instead of glucose. Ketosis is a perfectly natural state, which helps the human body survive when food intake is low. Studies continue to prove that a ketogenic diet produces the fastest and most sustainable weight loss. Just as important, are the bodies reduced insulin requirements, improved mental clarity and boosted energy levels. 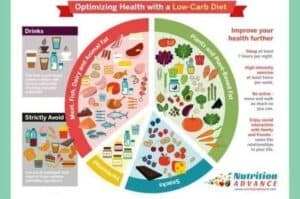 To read ALL the advantages of a low-carb diet, read this article. A number of people who commence a keto diet, may experience a transient (temporary) keto flu. 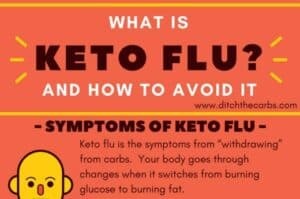 What is the keto flu? When you suddenly have a sharp decrease in carbs in your diet, it may create “keto flu” symptoms which include muscle cramps, dizziness, lethargy, nausea and other symptoms. Keto flu can easily be avoided however, by simply increasing your fluid and salt intake. While there is no strict definition, it is universally accepted that a ketogenic diet contains no more than 20g carbohydrates per day. Some will argue you should count total carbs, others will say you should only count net carbs (total carbs minus fibre). I say start with net carbs, then if weight loss or health goals have not been met, then begin to count net carbs. Contrary to popular belief, a keto diet is not a high protein diet. Moderate protein is enjoyed. If you need to quantify it, it is generally accepted 1 – 1.5 grams per kg of ideal body weight. When you switch from being a sugar burner to a fat burner, suddenly you increase the amount of healthy fat in your diet. So say goodbye to dry fat-free salads and hello to flavoursome healthy fats such as extra virgin olive oil, avocado, nuts, seeds and the healthy fat naturally found on meat. Chefs have know this forever, healthy fats add incredible texture and mouth-watering flavour. Many people also love the food choices that you get with the keto diet. Meats, cheeses, healthy fats, lots of non-starchy veggies and plenty of other delicious choices help encourage people to continue on the keto plan. 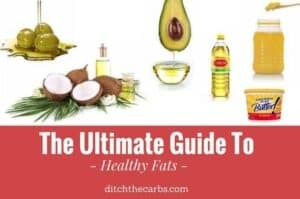 But remember this point, it is imperative to understand: To increase your healthy fats in your diet you MUST lower your carbohydrates. Otherwise you are on a SAD diet (Standard American Diet – high fat, high carb). Keto vs Paleo – What Is A Paleo Diet? The Paleo, or Paleolithic diet is based around the idea that humans should eat the same foods that were available to them during the paleolithic era. The argument for this diet is that humans were initially only suppose to eat the foods on this list so our digestive systems are created to work with these foods and none of the other foods you find in the modern human diet. The Paleo diet basically dictates only the foods that were available to paleolithic people such as meats, nuts, fruits, vegetables, roots and organ meats. With a Paleo diet, you avoid all dairy foods, legumes, and any grains. 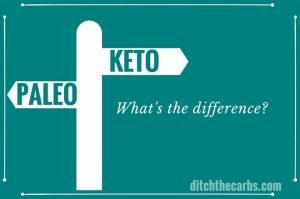 There are two main distinctions between the keto vs Paleo diet – the Paleo diet generally does not count macronutrients (so could be perceived as being medium carb) and it is dairy free. Some proponents of the Paleo diet claim that your health will be greatly improved with this eating plan and it’s true. You are cutting out all dairy, refined sugars, soy, toxic oils and processed foods, we all know that making these changes will improve your health. 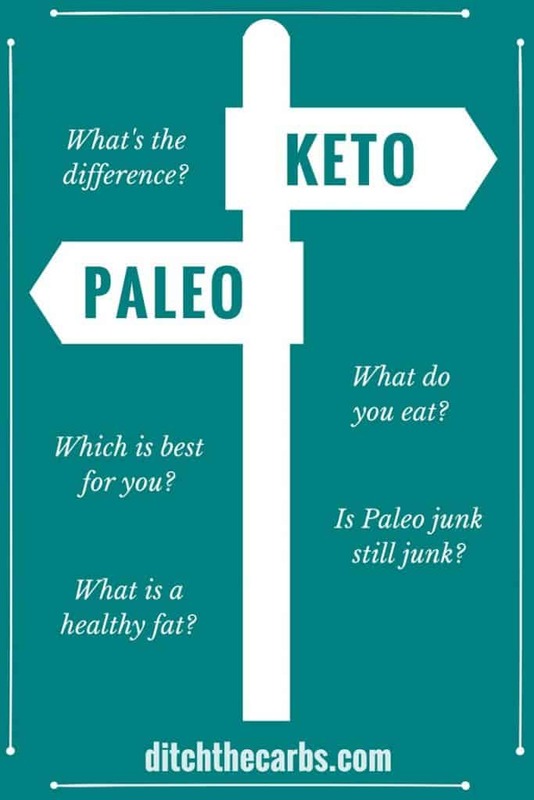 Keto vs Paleo – which is best? With all diets or ways of eating, there can be well formulated diet plans and badly formulate diet plans. People will always take away the information that they want to hear, and ignore the fundamentals if they are not ready for change. 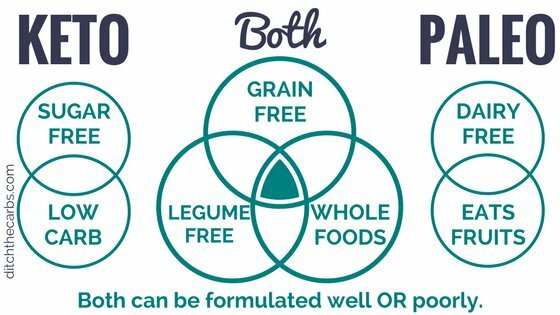 Both keto vs Paleo are based upon eating unprocessed whole food that is free from all grains, legumes and refined sugars. Both however can be sabotaged by eating keto or Paleo “products”. This is not the fundamental ethos of either eating plan. Keto can be done badly by overeating healthy fats until the point that they are no longer losing weight, eating processed keto junk and overeating and snacking as long as it is within their macros rather than being guided by their hunger and true needs. Remember, keto junk is still junk. Keto products are starting to flood the market. 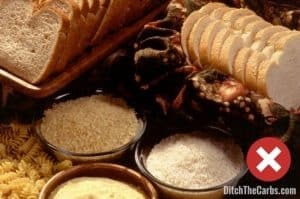 Keto bread, keto snacks, keto bars, many of which are made with questionable sweeteners. Paleo can be done badly by overeating sugars in the for of honey, fruit, coconut sugar and dried fruit, as long as it’s “Paleo”, they will consume it. Remember Paleo junk is still junk. There are a lot of Paleo treats which can soon add up the sugars, natural or not. Paleo bliss balls, Paleo smoothies, Paleo juices, and Paleo cupcakes sweetened with honey or maple syrup. So if stablaiisng your blood sugars is your health goal, watch out and don’t fall into this “healthy halo” trap. Find what works for you. If dairy is an issue for you, and you feel better without it and need a “plan” or a “label” to stick to, then you may wish to begin living Paleo. 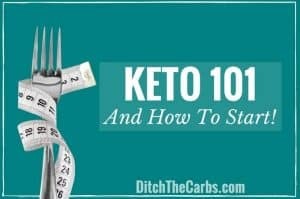 If you like to know exactly what you can enjoy each day, and enjoy calculating macros so you know when to stop, rather than being guided by your hunger signals which may be harmed by decades of dieting, then keto is probably best for you. In reality, stick to eating whole foods, lower in carbs, higher in healthy fats – and you can’t go far wrong. If you are confused which way to go, why not take a look at my range of eBooks. 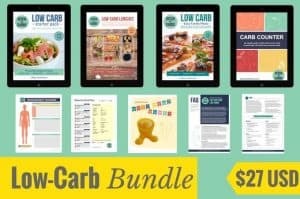 Low-Carb Starter Pack, Low-Carb Family Meals, Low-carb Lunch Boxes or the Ultimate Low-Carb Bundle below. We also should consider the sugar content of ancient fruit. Was it the same as what is present today? I think the main message is to eliminate anything that causes the the pancreas to fire off insulin. It’s the presence of insulin in the blood that interferes with fat metabolism, and very likely is the cause of disease. I have taken to eliminating anything from a bakery or a factory, so these so called “keto products” don’t get into my stomach. Processed food seems to be a big culprit with a lot of disease as well. Time will tell….! Good luck, All! Curious… you mention “questionable sweeteners”. What dry sugar-substitutes do you recommend? I know people use maple syrup, honey, or agave (for ‘sticky’ sweeteners), but they still have a ton of carbs. So I am interested in doing both. 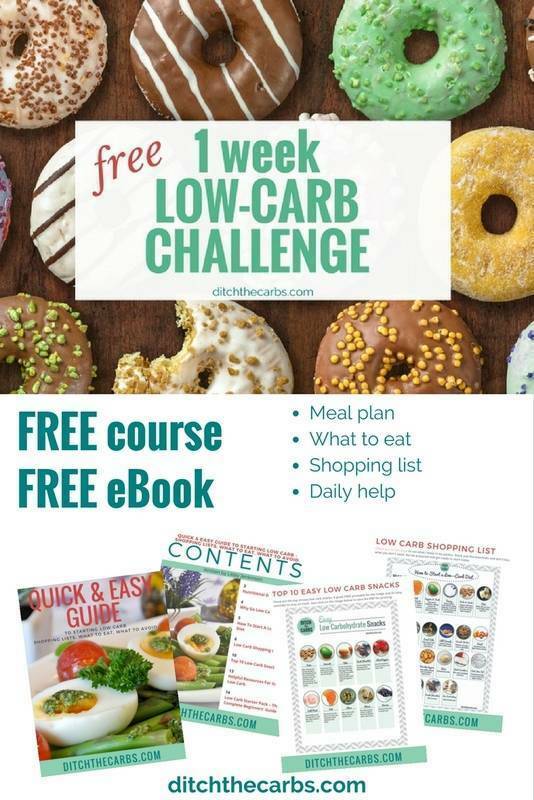 There is a low carb grocery I know and I buy alot of my “paleo and Keto bread, bars, spreads and anything labelled sugar-free” do you mean its best to avoid all those special store bought products and make the stuff from scratch? What I don’t like, is the ultra-processed Paleo and Keto bars/breads/protein powders/collagen that is on the market recently. Part of the ethos of living Paleo or keto is to give up the processed junk and eat real food, food that rots, food that our grandparents would recognise, food that is real and not formulated. Yes there may be an occasion when one enjoys these things, but I see too many who try to cheat the basic ethos and live off processed packaged food. It is so easy to live keto and Paleo without spending hours in the kitchen. Any lifestyle and diet plan can be formulated ad executed well or formulated and executed poorly. They are just trying to capitalize on people who are no longer buying their garbage. I just avoid all of it, and I’m happy. If they had keto beer I may give in. 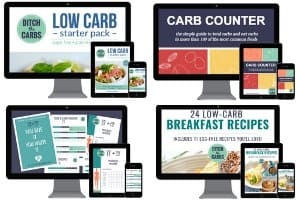 I have found if I keep my meal plans simple and not try to replace breads for example with keto breads I am more likely to consistently lose weight. 85 down so far with 15 to go.